Safety comes first when you use a label - Custom ANSI Caution Label makes it easy to talk about safety often. ANSI Caution Label is easy to understand. 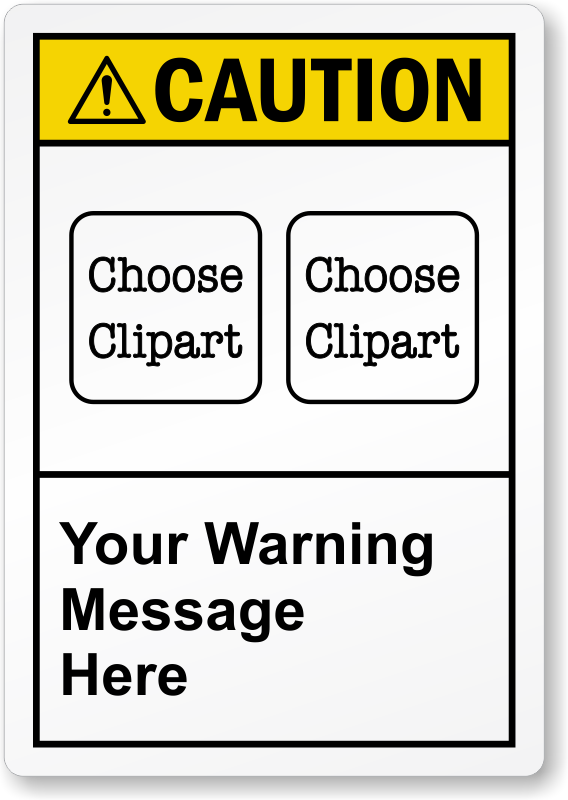 Choose two cliparts for one label. We have the largest gallery of ANSI pictograms on Web. Labels are chemical and water resistant. Order more to get bulk discount.